By Gerald Krell and Meyer Odze. 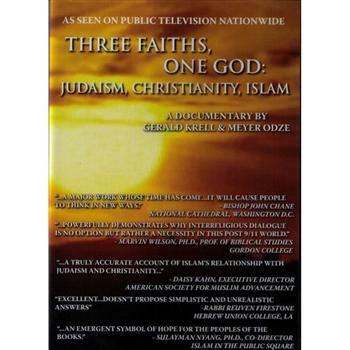 This ground-breaking documentary compares similarities and differences in religious beliefs and practices that Islam has with Christianity and Judaism. It also examines how people of goodwill in the Abrahamic faith communities are coming to terms with historical conflicts that impact their lives today, the crisis of the fundamentalist approach to religious pluralism, and tearing down barriers to understanding and respect. Auteur Productions, Ltd. (2005), Gerald Krell (Director), English, DVD, Number of discs: 1, Run Time: 116 minutes.